Discover some of the best craft beers in and around Brisbane on a 6-hour tour that visits three craft breweries. Taste a range of handcrafted suds and enjoy a delicious lunch accompanied by beer. You'll also hear about the beer-making process and perhaps get a peek behind the scenes at one of the breweries if possible. Your guide is a beer lover who shares entertaining and informative commentary throughout your tour, which includes stops at Bacchus Brewing, Catchment Brewing Co and Hipwood Brewing. After pickup at the designated meeting place in Brisbane or Fortitude Valley, head to your first destination on your 6-hour craft beer and brewery tour. You can relax in the comfortable minicoach while your professional driver handles the driving. 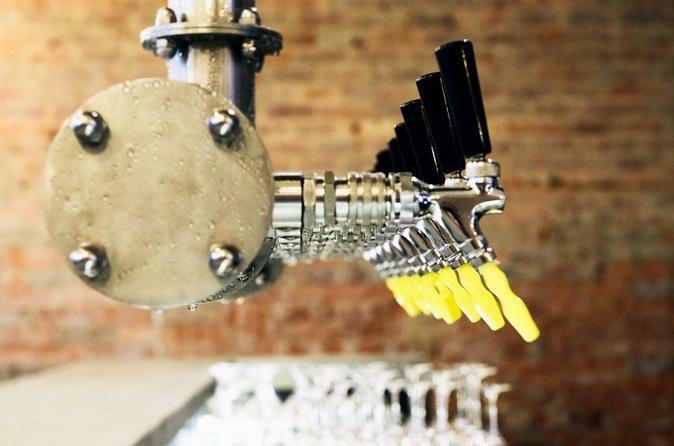 Start your day by sampling a variety of beers at Bacchus Brewing. Their creative beers are created from medieval recipes and modern-day inspirations. You can learn about the brewing process by watching the action at their fully operational brewery. Worked up an appetite? Your second stop hits a true hidden gem: Hipwood Brewing at the International Hotel. Enjoy a tasting paddle of beer, plus a tasty lunch accompanied by a schooner of beer. Wrap up the tour with a final stop at Catchment Brewing Co with tastings of their fine suds, which can be enjoyed in the outdoor garden. Learn about Archive Bar, located across the street, and recognized for the variety of local and national craft beers that they have available. Your tour ends with drop-off at a centrally located local pub. Please note: Your tour operator makes an effort to catch the brewers in action, but it cannot be guaranteed. Locations are subject to change. No matter what, you will sample great beers around Brisbane.